Small and medium-sized electricity retailers have been growing their collective customer base in New Zealand in recent years, with figures released by the Electricity Authority showing that a number of retailers falling into this bracket enjoyed solid growth during 2016. The Electricity Authority’s figures reveal that small and medium-sized retailers (classified as all retailers except Genesis Energy, Mercury, Contact Energy, Trustpower and Meridian Energy) now supply over 195,000 customers across New Zealand. According to the Electricity Authority, Ecotricity, Electra Energy, Electric Kiwi, Flick Electric, Giving Energy, Hunet Energy, Payless Energy and Property Power all experienced month-on-month customer growth. Electricity Authority Chief Executive Carl Hansen noted that this growth “indicates many consumers are exploring their options and many newer retailers are offering attractive deals to grow their business”. “With more retailers, consumers have more choice to shop around if the status quo isn’t working for them,” Mr Hansen commented. “There are 34 retail electricity brands actively serving the residential electricity market, and they all supply electricity that has exactly the same physical reliability. So, which small and medium-sized retailers are making an impact in the New Zealand electricity market? According to the Electricity Authority figures, among small and medium-sized providers, Flick Electric experienced the greatest increase in customer numbers last year, adding 9,856 customers, and reaching 16,986 customers by the end of December, posting a 138 per cent growth rate. “We believe power prices should be honest and transparent, which is why every bill you receive from us will show you exactly who has charged you what to get the power to your place,” Flick Electric states. Flick Electric describes itself as being different from other companies, with it passing through all of the wholesale costs of getting electricity to a customer’s residence without a mark-up, charging customers a separate fee to look after them as their retailer. Flick Electric states that it “is the first NZ electricity company to use smart meter technology and proprietary software to give customers access to the real-time, wholesale costs of electricity”. Using its CHOICE app, Flick Electric customers can check what the price of power is in real-time, choosing whether to consume electricity or not, shifting their power use as they see fit. Giving Energy recorded the largest percentage growth rate for small and medium-sized electricity providers in 2016, reaching 4,989 per cent, according to the Electricity Authority. Giving Energy states that it is committed to keeping its “prices competitive compared to the major energy brands”. “Giving Energy is creating a virtuous circle where everybody wins,” the company states. “We have reduced our profits so that customers can save money on their electricity bills, while raising funds for the community organisations important to them. Customers can choose who they wish to raise funds for, with Giving Energy giving 5 per cent of each customer’s monthly electricity payments (excluding GST) each year to a nominated school, charity or club. Electric Kiwi recorded the second largest percentage growth rate in 2016, at 873 per cent, the Electricity Authority figures show. Electric Kiwi describes itself as “an independent digital electricity company”, stating that it “saw a gap for a company that could maximise smart technology to offer electricity that was cheaper, smarter and easy to manage”. “We started out by custom-building our systems from scratch to ensure they were super-efficient and could capitalise on the benefits of new technology,” Electric Kiwi states. “We took all aspects of our business online, and then began creating ways for customers to benefit every day from the extra information provided by their smart meter. Electric Kiwi’s ‘Hour of Power’ provides for customers to choose 60 minutes of off-peak power, with all electricity used during that hour free each day. Ecotricity states that it “is the only provider of 100 per cent carboNZero certified renewable electricity”, sourcing its “electricity from sustainable and certified renewable electricity generation including carboNZero certified hydro and wind”. All Ecotricity customers are on smart meters, with Ecotricity stating that included benefits are “cheap night time electricity rates and being able to work out where savings can be made on current consumption”. Ecotricity accounts for how much electricity it is supplying its customers, purchasing from renewable resources on an annualised basis, with the net effect being that it only supplies from certified renewable sources. Electra Energy is 100 per cent locally owned, “offering services to customers on the Electra network, servicing Kapiti-Horowhenua with cost-effective electricity products”. “As a subsidiary business of Electra, we are owned by around 43,000 people in our community in the form of a consumer trust and our profits contribute to making our energy more affordable for us all,” Electra Energy states. Further information on where Electra Energy provides services can be found via its website. Hunet Energy, trading as megaENERGY, provides services for customers in the Auckland region only, stating that it “provides affordable electricity for your personal, business or corporate needs”. megaENERGY provides multilingual customer care, with Korean and Chinese support, while its electricity service can be used in conjunction with megaTV and megaTEL. Consumers can search for service availability via the megaENERGY website. Dunedin-based Payless Energy supplies electricity to the Otago, Waitaki and Nelson areas. Payless Energy describes itself as “an independent and highly innovative electricity retailer, whose internet-based operation is designed to be as efficient as possible, while passing the savings on to our customers”. Independent New Zealand-owned family business Property Power, delivered by Crockers Property Group, supplies power to the Auckland and Counties areas. 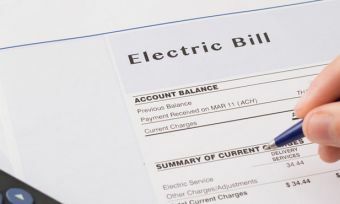 Consumers can compare prices via Property Power’s website, uploading a copy of their last residential bill.